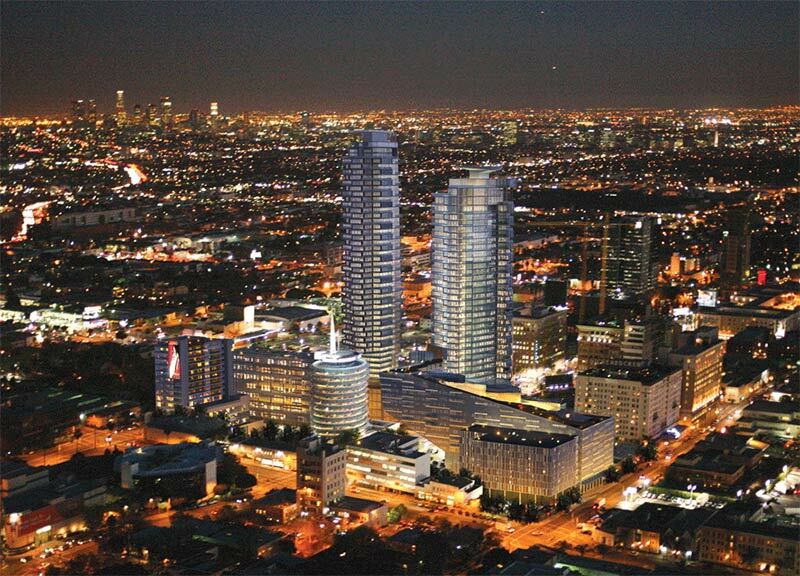 While RVCA and Handel Architects‘ Capitol Records–blocking Millennium Hollywood towers have received LA city approval, the controversial $600 million project is now facing another obstacle: mother nature. Geologists say that the 35-story and 39-story towers may sit on top of the active Hollywood Fault, and the state is demanding more testing to find out if the location presents a threat. According to California state law, new projects cannot be built within 50 feet of an active fault. If the fault is found on the site it could hold up other Hollywood developments as well. “We want to make sure we don’t set some sort of precedent because there are suspicions that a fault line might be somewhere, that it stops all economic activity and development activity. It would cause irreparable harm to our economy if we proceeded that way,” fretted California state councilman Mitch O’Farrell to the Los Angeles Times. Stay tuned as things get, well, geological.